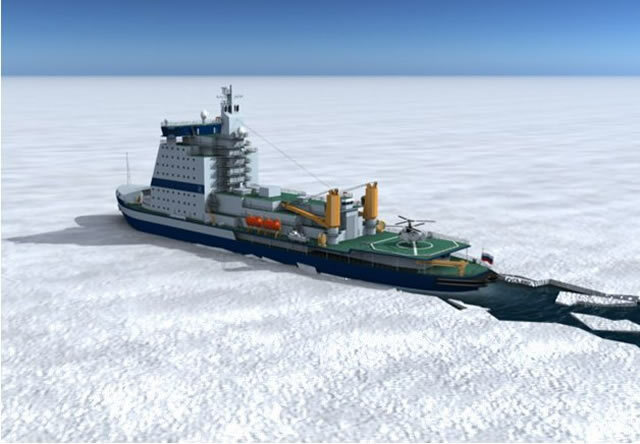 On May 27, 2014 the Russian State Atomic Energy Corporation "Rosatom" has signed a contract with Baltiysky Zavod JSC (shipyard based in St Petersburg) to build two extra Project 22220 nuclear powered icebreakers. The value of the contract amounts to 84.4 billion rubles. Under the terms of the contract the vessels are to be delivered in December 2019 and December 2020 respectively. 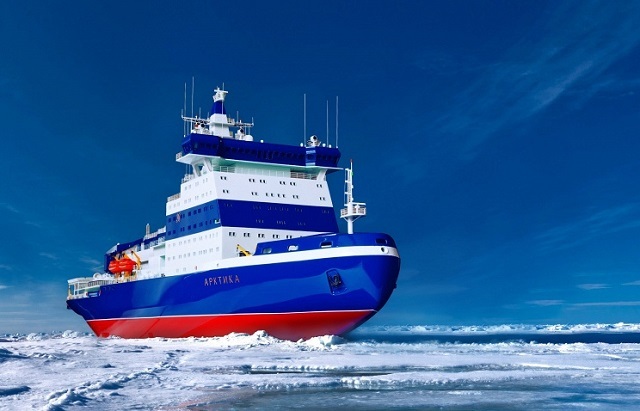 Baltiysky Zavod JSC has already been awared a contract in 2012 for the construction of the first ship of the class which will be named "Arktika" (Arctic). The vessel was laid down in late 2013 and will be launched in water next year. Project 22220 Nuclear-powered Icebrakers are set to become the largest and most powerful icebreakers in the world. The length will be 173.3 meters with a width of 34 meters and draft of 10.5 meters. Projected tonnage is 33,540 tons. It will be fitted with two RITM-200 pressurized water reactors for a capacity of 175 MW.